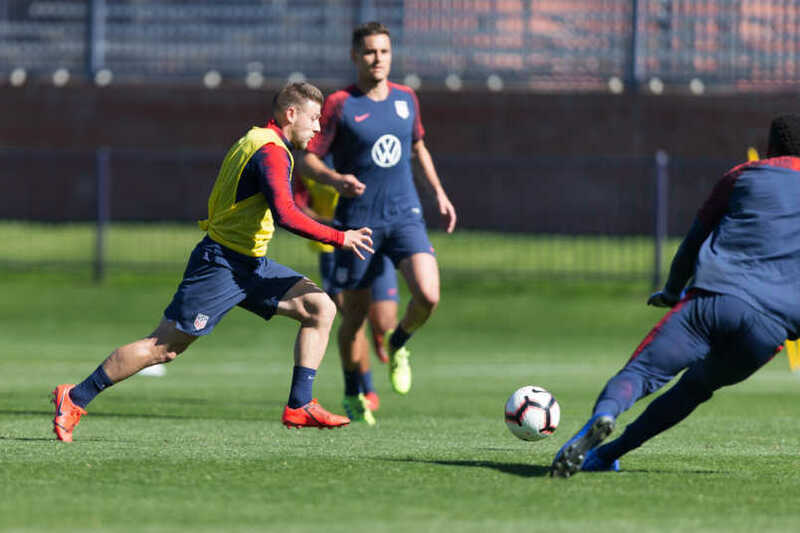 The USMNT opens the 2019 schedule with a Sunday friendly against Panama in Glendale, Arizona (8pm ET - ESPN2). Under new coach Gregg Berhalter, the MLS-based squad has spent most of January in training camp. The expectation is a tactical setup similar to what Berhalter used with the Columbus Crew while waiting on the full roster in March. With that in mind, here's what we're looking for on Sunday. Nothing has fundamentally changed with January camp, an out of window annual event that doesn't benefit from having the full roster available. Instead, players are in a situation where the lineups and the tactics may not reflect what happens with full availability. This time, that wasn't just the European players unable to attend. Atlanta United pulled back its players due to the Concacaf Champions League. The not first choice problem across the lineup creates issues for the players and the coach. Intriguing passing moves and complexities aren't necessarily plug and play. The January camp gives individual players an opportunity, but it comes by thinking of how their game might work in a first choice squad. There's no discounting Panama since they went to the World Cup, but this is still a team ranked 71st by FIFA. They haven't played since the World Cup, losing all three of their Group G games. Panama is also hampered by limited call-ups in January. Playing in a massive NFL stadium probably isn't the best place to showcase a USMNT January roster vs an equally limited Panama. Berhalter has familiarity with Wil Trapp in midfield and Gyasi Zardes as the target forward. Should he go that route, he has the pieces to augment the kind of play that revitalized Zardes's career when he moved to the Crew. Get him the ball in shooting positions and the USMNT has the advantage. Defensively, Berhalter can rely on Michael Bradley in front of the defenders and another familiar face in goal. Crew goalkeeper Zack Steffen has shown he can win 1v1 battles and make the difference. Both teams are looking to the games that count, this summer's Gold Cup and the Concacaf Nations League in the fall. This is a year with a lot of games in Concacaf, and warmups against other Concacaf teams could be a benefit even with the roster limitations. Taking advantage of opportunities regardless of circumstance is part of January camp for players as well as the coach. Moving to the soccer news, USMNT and Chelsea defender Matt Miazga joins Reading on loan after leaving Ligue 1 club Nantes. Reading is in 22nd-place in the Championship. I’m very excited to be here,” Miazga said. “It’s a very well-known club in the UK. I had a chat with my friend Danny Williams, who played here before, and he told me a bit about the club and their past. I have always kept track of the Championship because I have a lot of friends and former teammates who play in it. Obviously, I have seen the position that we are in, but this is football and we’ve got to keep fighting and keep working." 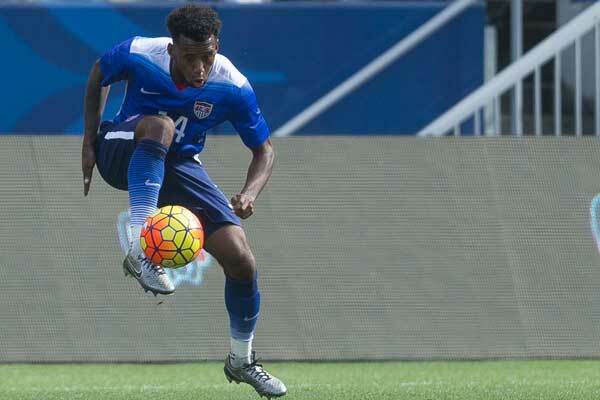 Bobby Warshaw previews the USMNT vs Panama friendly for MLSsoccer. The Guardian's Tom Dart puts the focus on Berhalter's first game in charge of the USMNT. The Columbus Dispatch's Michael Arace with the Crew under new coach Caleb Porter. Yahoo Sports' Leander Schaerlaeckens with Landon Donovan joining the San Diego Sockers in the MASL. South Florida Business Journal's Brian Bandell reports on a legal challenge to Inter Miami's stadium plan. Joe's Marc Mayo explains what led to Thierry Henry's exit as Monaco coach. Watch The @landondonovan Press Conference!